Note from Chase: this is our first post from Philip Etemesi, joining us from Africa for a four-article trial run. Philip’s been a follower of and practitioner of Girls Chase material for some time, with his own twists. Please let us know in the comments section of Philip’s next few articles if you enjoy his writing and would like to see more from him in the future. His first article is about meeting girls on buses. Here’s Philip. I am a new writer at Girls Chase and I am more than thrilled to be part of a site that has influenced my game so much. For a start, I’ve been tasked with reviving a blog post series called Tactics Tuesday. Through it, I shall focus on seduction techniques that you can use in situations that might appear tricky at first. If you don’t own a car, you probably ride the bus a number of times a week. 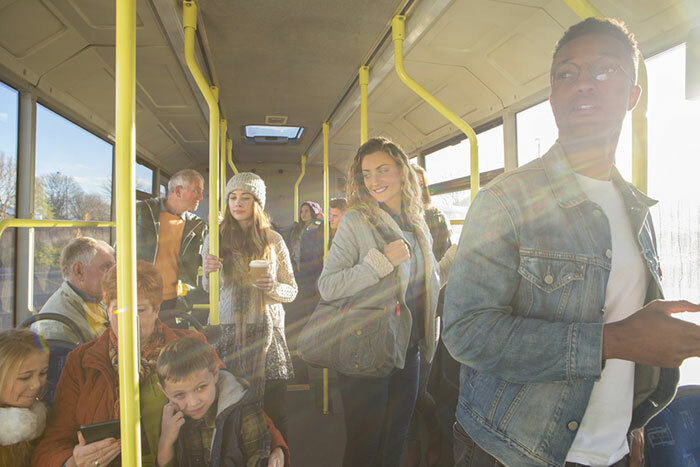 Even if you do own a car, you’ll find yourself having to take the bus from time to time because you’re either saving on gas or you’re tired of pressing your foot to the pedal. Buses are designed to transport plenty of people, and any location where lots of people converge will consequently have lots of women too. Buses can offer a great atmosphere for seduction. So in my first piece, I’ll be your tutor on the all-too-tricky issue of how to approach a girl in a bus.